With a beautiful scenic drive through the picturesque Wears Valley, your journey to your Smoky Mountain Vacation Home is almost complete. 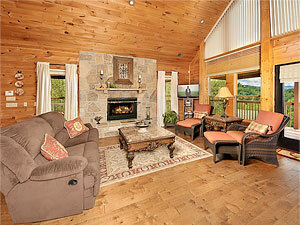 As you round the final bend, a custom built gorgeous luxury cabin will greet you. 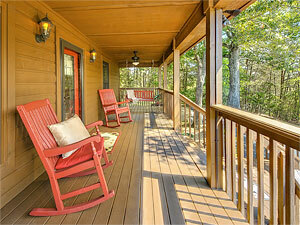 The porch beckons you to come and have a seat in the quiet peaceful setting on the swing or rock on the rocking chairs on the front porch. This cabin rental is Pet Friendly. Upon entering the cabin rental, you will be welcomed by the elegant and spacious interior with alluring furniture on hard wood floors in the living room and dining room. 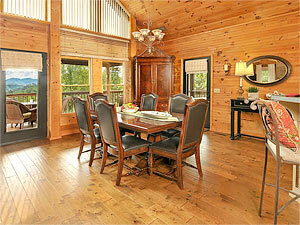 The open floor plan along with the cathedral ceilings give the cabin a great feel. The exquisite dining room table seats six and there is a breakfast bar in the open kitchen which seats two. 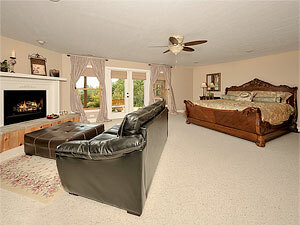 Also on the main level is a King master suite with a Hot Tub and a fireplace for those romantic evenings. The bathroom in the king master suite is vast with custom cabinetry and tile floors. Ascend to the loft where you will find a media room, Queen size bed, shuffleboard table, small closet, full bath and an electric fireplace. 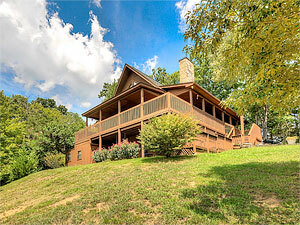 The main level wrap around deck, has a small screened in porch on the side, a patio set which seats six cushioned lounge chairs, and a hot tub to enjoy your beautiful Smoky Mountain View. On the lower level, you will find an even larger King master suite with its own Hot Tub, gas log fireplace, full bath and large walk in closet. There is also a laundry room on this level with a full-size washer and dryer. The patio off of the lower level King master suite has a small stone pond and a porch swing. When you decide to venture out, Smoky Mountain Splendor is just 5 miles from dining and endless attractions on the parkway in Pigeon Forge and 9 miles from Dollywood Amusement Park and Splash Country. 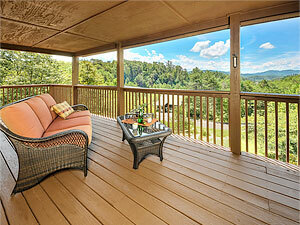 It is also just 13 miles from the vastly beautiful Great Smoky Mountains National Park and adventures of Gatlinburg. 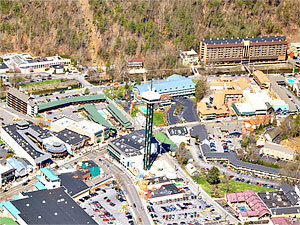 There is so much to do in the Pigeon Forge area. It’s full of history, beauty and fun! 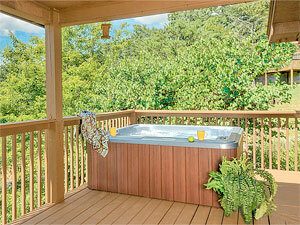 Add all of this to a beautiful relaxing vacation home and you are sure to make wonderful memories.